I thought i knew the word grandeur. I've used it many times to describe something i thought was grand. According to Webster's Dictionary, gran-deur means: a great and impressive quality. 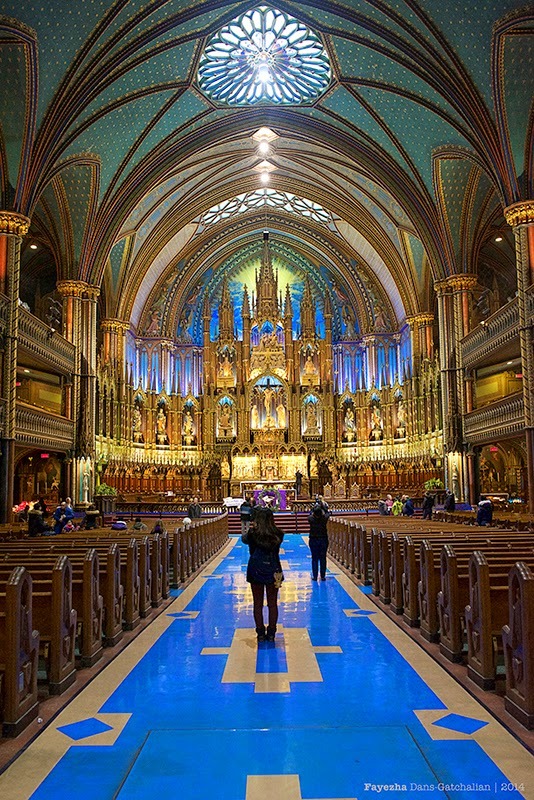 But not until i saw the Basilica of Notre Dame in Montreal. My jaw dropped to the floor in awe. I have never seen anything like this in my entire life, it made me want to cry. That feeling you get when you see something new and so beautiful is immaculate. It was like giving birth. 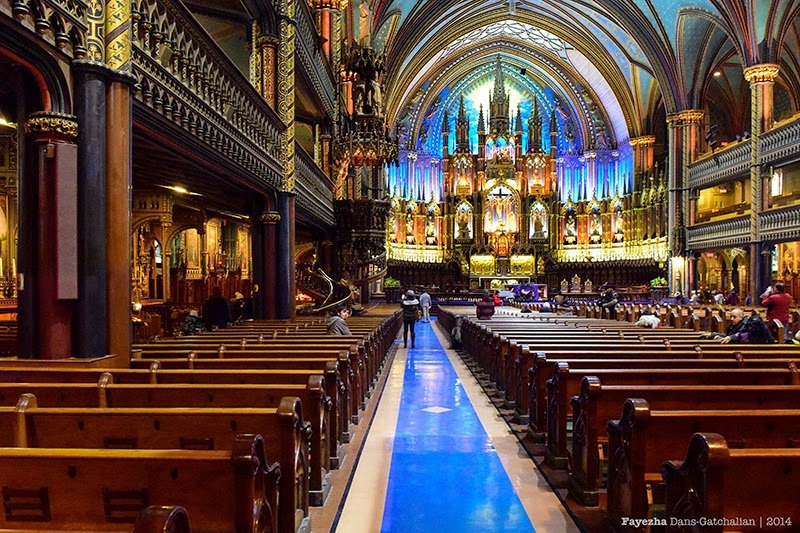 The Notre-Dame Basilica of Montreal or La Basilique Notre-Dame de Montreal is a Gothic Revival Architecture. It is considered one of the most dramatic in the world. The intricate wood carvings is amazing. One would wonder how they have done it during those times. Don't you find it ironic that today's architecture, despite the technology where everything is possible opts for a modern minimalist approach of clean lines? 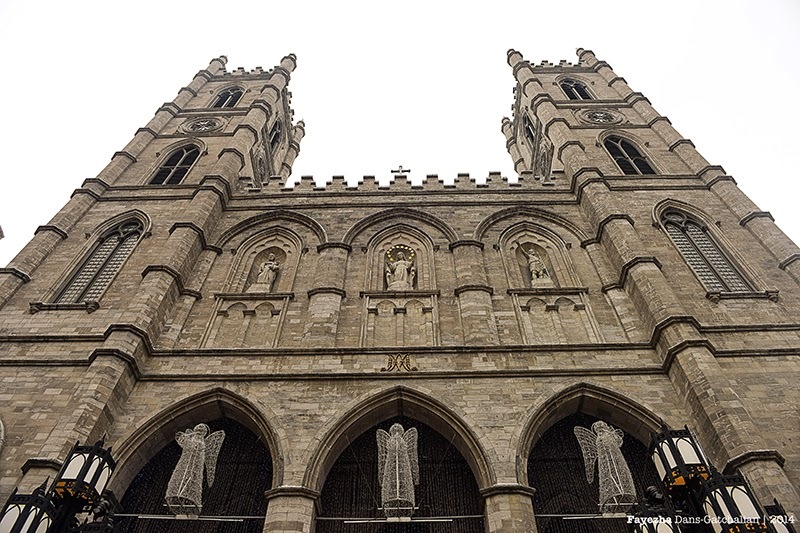 This is the Exterior of the Basilica. 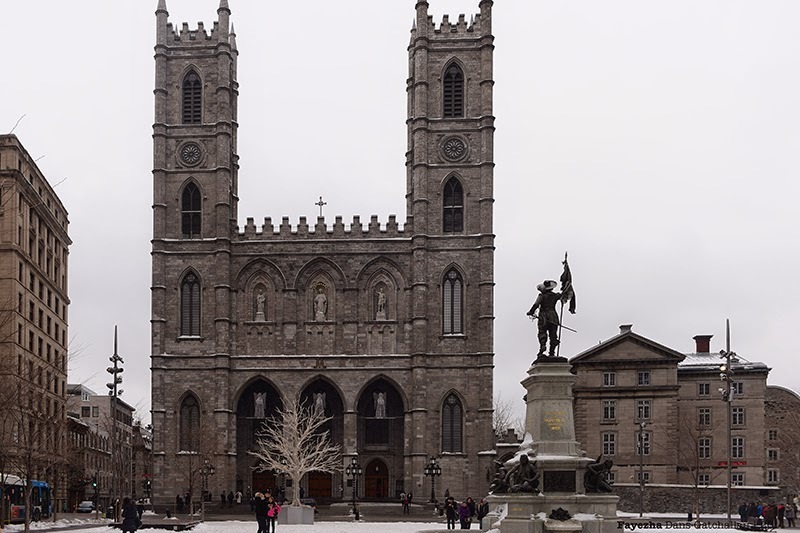 Infront of the Notre-Dame is the Monument a Maisonneuve a sculptor by Louis-Philippe Hebert in 1895. 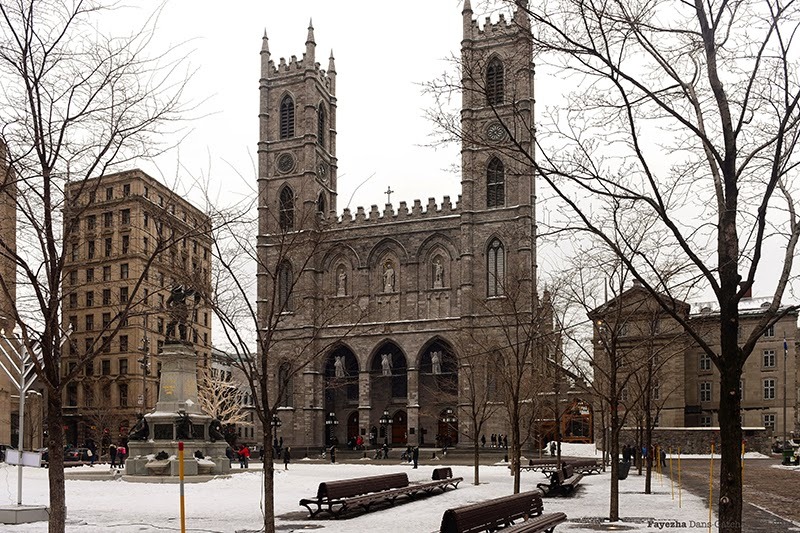 This monument is for the memory of the founder of Montreal, Paul Chomedey de Maisonneuve. 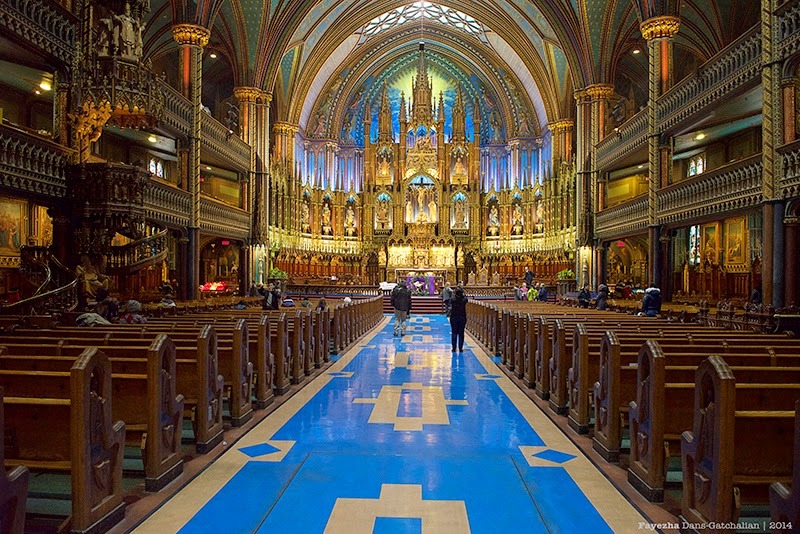 Notre Dame Basilica is located at 110 Notre-Dame Street West, Quebec H2Y 1T1. 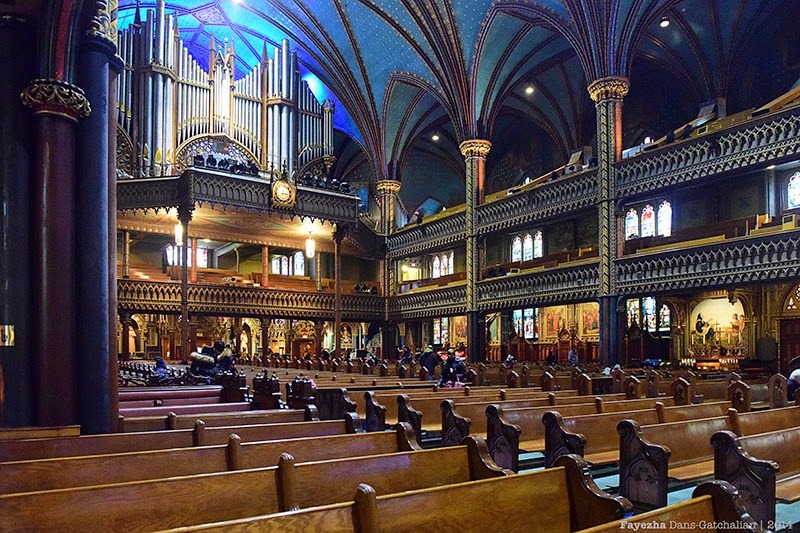 "Designed by Henri Bouriche and modified by Victor Bourgeau, the pulpit was built between 1883 and 1885. The sculptures are by Louis-Philippe Hebert." 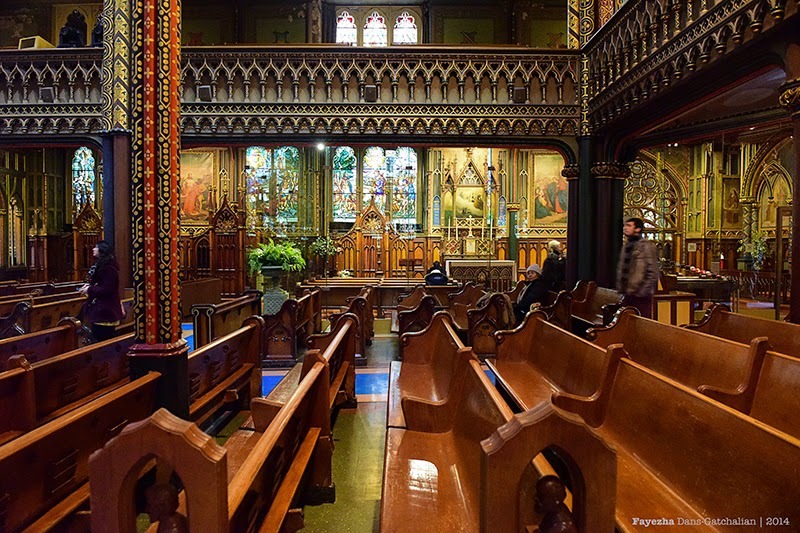 This is the Sanctuary and the Altar. 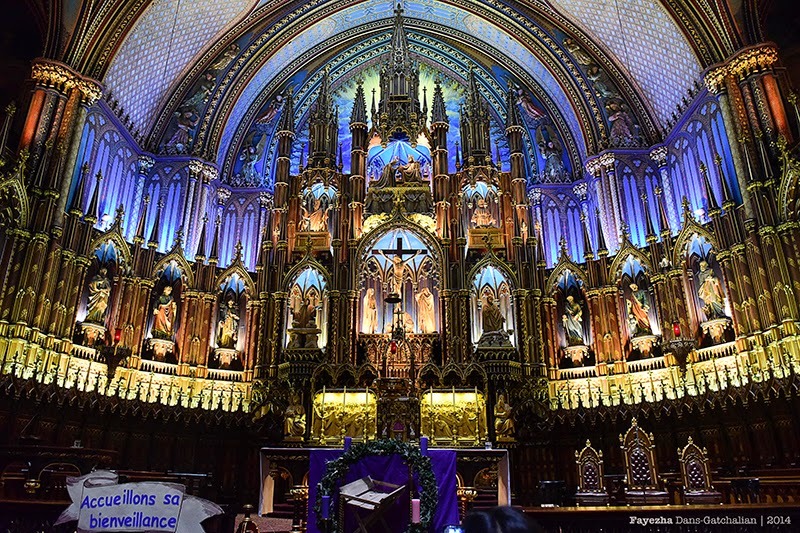 "Cure Rousselot and Bourgeau commissioned a Frenchman, Henri Bouriche for the altarpiece sculptures. Mr Rousselot imagined an altar with a centre-piece illustrating the Eucharist, which originated in Christ's sacrifice. At the very top of the altarpiece, Mary is seen being crowned by her Son. The six polychrome statues represent Saint Peter and Saint Paul as well as the four evangelists, Matthew, Luke, Mark and John." 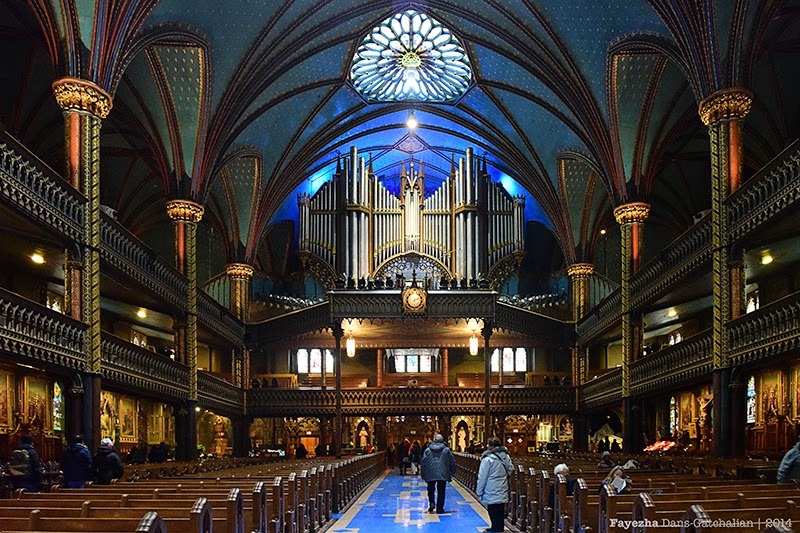 "The organ, built in 1891 by the renowned Casavant brothers of Saint-Hyacinthe, has been modified a few times. It now has 4 keyboards, 99 stops and approximately 7,000 pipes." 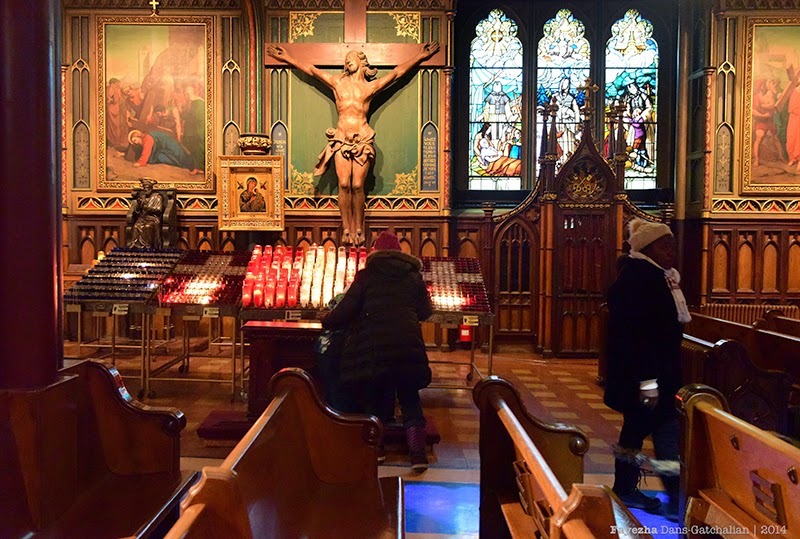 "This chapel is a place where the faithful may pray in peace and adore the Blessed Sacrament reserved in the Tabernacle on the alter of the Sulpician martyrs." You can light up your candle here. This is one thing i personally like doing. I grew up doing that in Fort Pilar in my hometown Zamboanga City. 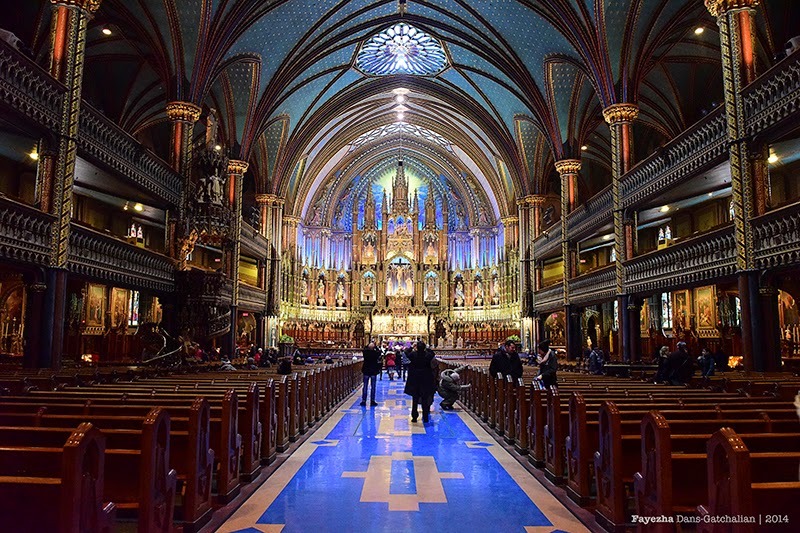 "The Stained Glass windows along the walls of the sanctuary do not depict biblical scenes, but rather scenes from the religious history of Montreal." This trip made me realize there is nothing greater than experiencing it yourself. I've read this in books, studied it for 5 years while taking up Architecture. 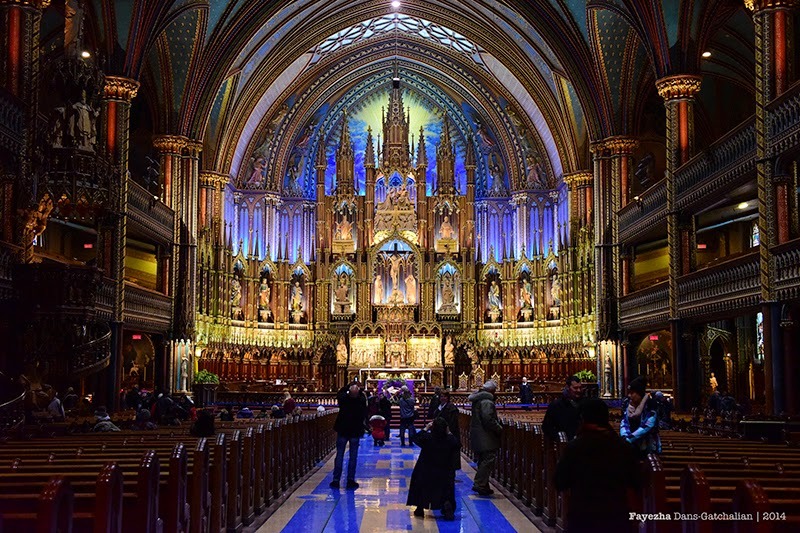 From Greek Architecture, Gothic, Baroque to Modern contemporary. I know what is a pointed arch, a vaulted ceiling, buttresses. But one thing they didn't let me know, is the feeling when you stand at the center of it all. Priceless. Those are beautiful pictures!!! Well done!